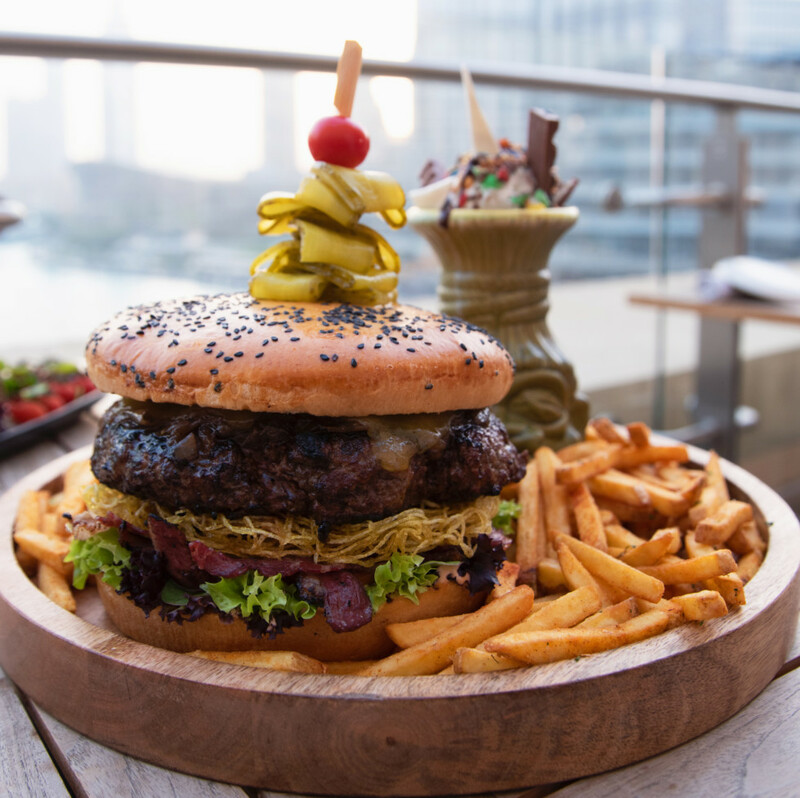 Women get four free beverages and 50 per cent discount on Hamilton’s Gastropub bites menu, at Saadiyat Rotana Resort & Villas. Every Tuesday, from 6-10pm. Also, 50 per cent off select house beverages during happy hours, Saturday to Wednesday, 5-9pm and Fridays from 12-6pm. Call 02-6970000. Food lovers and movie fanatics can enjoy extended dining promotions at Dubai Festival City. Shoppers who dine at any restaurant and spend Dh250 or above will receive two free tickets to Novo Cinemas. Running Sunday to Wednesday until April 30, across all the mall’s dining restaurants. Can You Take On a 1kg Burger? A renovated inflatable water theme park by AquaFun has launched at JBR Beach, in the form of the official logo of Dubai and as a tribute to the city’s creativity, innovation and dedication to its people. Covering an area of 5,000 square metres, it can accommodate up to 500 people concurrently. Open from 9am to sunset. A day pass costs Dh126 for kids aged 6-12 and Dh158 for adults, with discounts for groups.